You might expect more road traffic accidents to occur during the winter where ice and snow can increase the risk to road users. However, it is August that usually sees more fatalities on UK roads than any other month. For this reason, in 1998, road traffic accident charity RoadPeace recognised August as National Road Victims Month. Since then, each August, the organisation aims to raise awareness of the devastating effects of road traffic accidents and promote peace on the roads. There are a number of factors that increase the likelihood of road traffic accidents in August. Firstly, there is an influx of vehicles on the roads as holidaymakers flock to the UK’s motorways. What’s more, with children off school and out and about with friends, there are more pedestrians around than usual. During the summer holidays, it’s important that parents remind their children of the importance of the green cross code. There is another reason why RoadPeace chose August as their month of raising awareness; it is the month in which a number of notable road traffic deaths occurred. These include Bridget O’Driscoll who on 17th August 1896, was the first person to be killed by a car in the UK and Princess Diana who tragically died in Paris on 31st August 1997. Unfortunately, there were 1,810 reported road fatalities in the UK in 2016. An additional 25,160 people suffered serious injuries, 6% higher than in 2015. RoadPeace is holding a number of events throughout August. The charity hopes that these will educate members of the public on the impact of road traffic accidents and help to remember those who have lost their lives on the road. On 31st August, the anniversary of Princess Diana’s death, a service of remembrance will be held on the steps of Liverpool Anglican Cathedral to remember the Princess of Wales along with the lives of all others killed on the roads. RoadPeace also encourages people to leave flowers and wreaths at the sites of accidents in the coming weeks. For information about National Road Victims Month, visit the RoadPeace website. 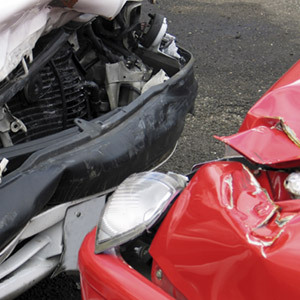 At Jefferies Solicitors, our experienced team of personal injury lawyers are experts in dealing with road traffic accident claims. For many years, they have worked with both individuals and families who have experienced serious or fatal road traffic accidents, helping them to claim the compensation they deserve. For more information, contact Jefferies today either online or by calling 0800 342 3206. First published on 18th August 2016, updated on 14th August 2017.